The Melville J. Herskovits Library of African Studies is pleased to welcome the Africana Librarians Council's Spring 2017 meeting, which will be held at the Northwestern University Libraries on April 19-21. Events will be located in the Library's Ver Steeg Faculty Lounge unless otherwise specified. For detailed schedules, see ALC & Title VI Meeting Schedule and CAMP Agenda - Friday, April 21 . 6:00pm - Welcome Reception sponsored by Program of African Studies, in Ver Steeg Faculty Lounge, Northwestern University Library. Anyone without a Northwestern affiliate ID must register in order to enter the library. 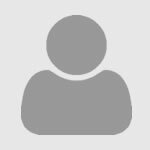 As part of the registration process, these individuals must present one of these pieces of photo identification: driver’s license, state ID card, passport, or military ID. Registered patrons will be given a barcode to use to enter the building which will expire at the end of the day’s public hours. Click here for more details about visiting the library. Events will be held in the Ver Steeg Faculty Lounge. 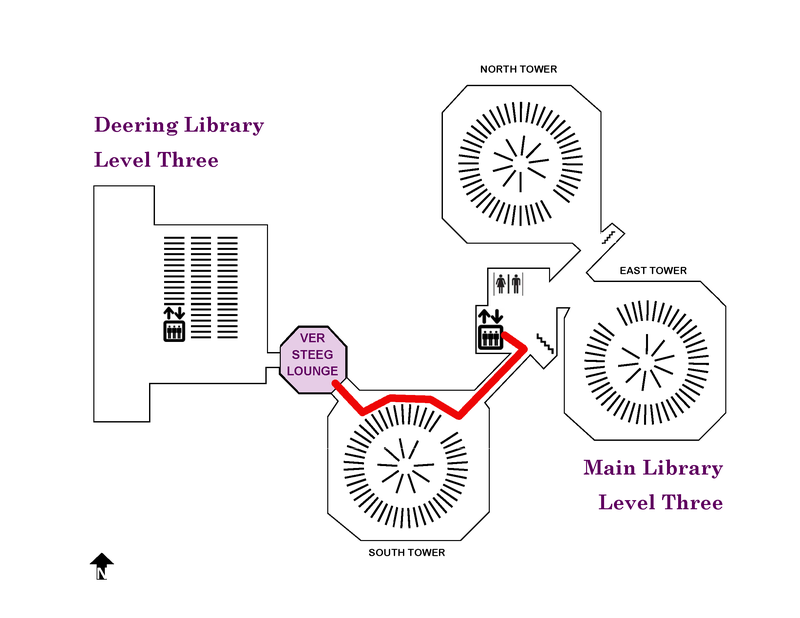 From the Library's main entrance, take the elevators to the Third Floor, then follow the signs. Ver Steeg is located next to the Third Floor's South Tower. Northwestern University's visitor's information page contains links to resources on getting to campus, including by public transportation and by car (including parking information). 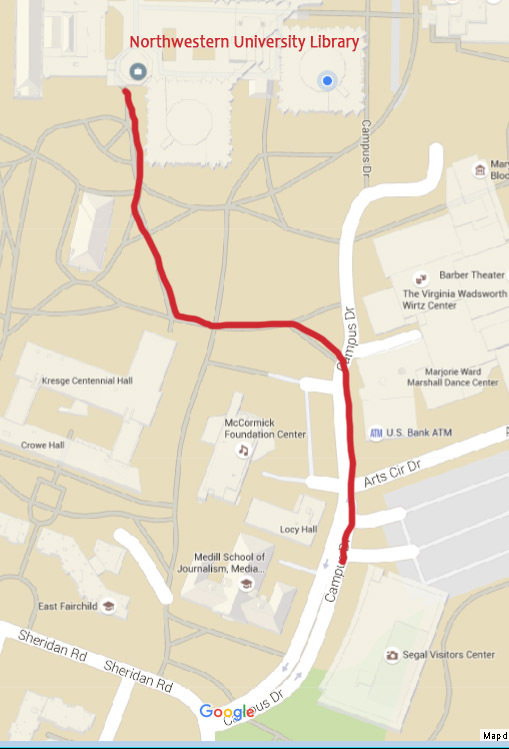 If you follow the Driving to Campus directions and park in the garage next to the Segal Visitors Center, the Main Library is a short walk north.